Improve your process with BIM and intelligent structural steel detailing and fabrication software. 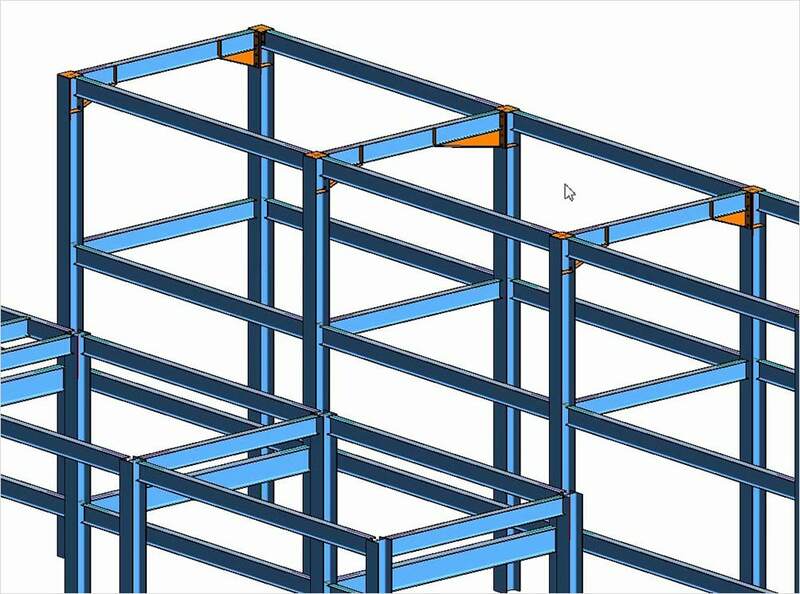 Autodesk® Advance Steel structural steel detailing software is built to help structural engineers, detailers, and fabricators more quickly and easily create information-rich building models that can help drive the fabrication of steel components. Building Information Modeling (BIM) is a process based workflow that helps businesses work more efficiently and helps teams complete projects on time and on budget. Advance Steel helps detailers and fabricators model with intelligence and helps designers and engineers extend their BIM workflows through to detailed modeling. Parametric steel connections – Ready-to-use Connection Vault can help save time. Built-in connection design engine – Check steel-connection design in real time. Stairs, railings, and cage ladders– Model miscellaneous steel work more quickly. Sheet metal and folded plate work– Create folded elements of any shape more quickly. Fabrication data information – Access and transfer fabrication data and properties. Dynamo Extension for Advance Steel– Create parametric complex structures with a visual programming tool. Select and view parts of a model – Isolate and display selected elements. Intelligent structural objects – Object library and wizards enable quicker modeling. NEW | Create a call-out directly on drawing – From a selected area in an existing drawing, create a call-out and assign it a specific scale. General arrangement drawings – Produce clearer drawings for erection at site. Steel shop drawings – Generate more accurate drawings for fabrication. NC data – Generate data for CNC workshop machines. Create more accurate BOMs – Automatically generate BOMs based on design data. Document Manager – Control and track your documentation. Bidirectional link with Revit – Faster time to fabrication with model synchronization. AutoCAD Plant 3D interoperability – Integrate real-time workflow. Robot Structural Analysis interoperability – Optimize your structure with bidirectional links. MIS software interoperability – Export data via KISS, XML, or IFC with MIS software. NEW | BIM 360 Team interoperability – Collaborate more efficiently across the design team. NEW | Custom settings import – Import your custom settings when moving to new versions. Open and flexible API – Extend and enhance the use of Advance Steel. IFC Capabilities – Import or export a 3D model to an IFC 2×3 file. View native drawings in AutoCAD – Object enabler lets you view Advance Steel drawings. Navisworks interoperability – Integrate data for quantification, simulation, and review. Work-sharing – Several users can work on the same project at once. Model-based approval workflow – Colour-code objects based on approval status. Click here for more training information. This video show a small peak into the features we’ve added to Advance Steel to more effectively address the New Zealand Structural Steel market. This video show you how to get a more functional info box when you hover over Advance Steel objects. Here are the tools that allow you to pick any point in space and an object will stretch along its axis to the perpendicular plane on which that point exists. Connect Revit models to Advance Steel to export, import, and synchronize features to transfer the model’s BIM data to LOD 350 for structural steel. Get Advance Steel, Revit, and Navisworks as part of a set of integrated BIM tools. From design concept to fabrication, Revit software helps support workflows for structural engineering.